Very simple & quick recipe, cooks in about 5 mins! Remove outer leaves of the cabbage, chop the cabbage & wash in cold water, then drain. Place a generous amount of olive oil into a non-stick frying pan and turn the heat up high. Sprinkle on some garlic powder (or finely chopped garlic), then add the chopped cabbage. Stir, then place a lid on the pan. Remove the lid after a minute or so, stirring again. Replace the lid, then after another minute or so, remove the lid & stir again. You can sauté the cabbage without a lid for the remaining 2-3 minutes. 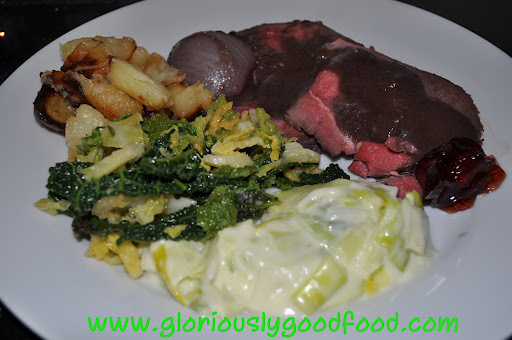 This entry was posted in Vegetables, Vegetarian and tagged cabbage, garlic cabbage, pan-fried cabbage, savoy cabbage. Bookmark the permalink.